We cater in and out of the restaurant. Give us a call. HAVE YOUR NEXT PARTY OR EVENT AT CAFE VENEZIA. PRIVATE ROOM AVAILABLE FOR EVENTS. OUR PRIVATE ROOM CAN HOST UP TO 80 PPL, BOTH ROOMS 160 PPL. A family owned gem in Martinsville NJ, cooking up Italian favorite dishes. Reservations recommended. Fabulous food and service! Leo makes you feel at home the minute you walk in!! As always, a great dining experience. Food and service are always great. We’ve become regulars. 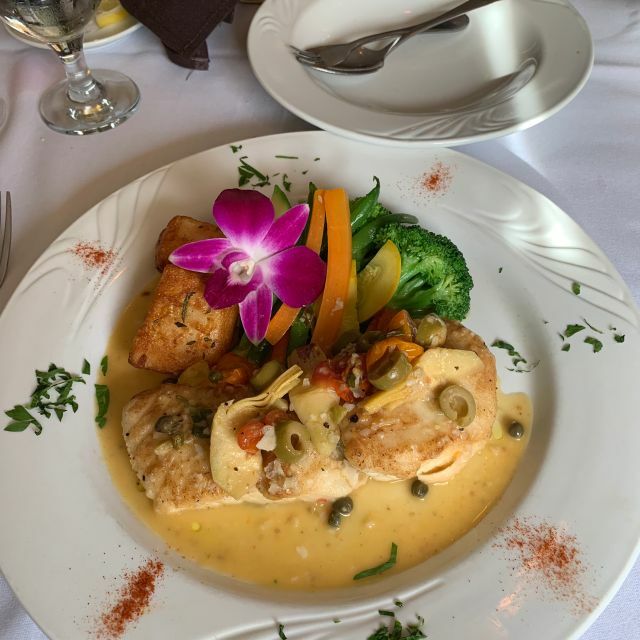 Cafe Venezia has become our favorite place for special occasions. The owner, Leo, is always very gracious and attentive (some might say too attentive, but he grows on you). Food is excellent with a wide selection of appetizers and entrees, and if it's not on the menu, just ask. It's BYOB, which helps keep the price down, but there's a complimentary shot of samuca or home-made amaretto to top off rh3 evening. Parking is a major issue for handicapped persons. Walking up the steep parking lot to a set of stairs is not acceptable in this day and age. The food quality for the entree was a miss. We had to add a lot of salt to give it some taste. It is obvious the chef doesn't taste the food before sending it out to the customer. This was a birthday celebration that didn't go so well. Good food and service. Enjoyed our meal. Great food; very friendly service. We’ll definitely be back. Food was spot on. Definitely one of the better Italian restaurants in the area. The appetizers were delicious (left you wanting more) and the entree specials were excellent. Homemade desserts were awesomely good and the conversation with the owner who checked in on us on a very busy Saturday night was great. We will be back! Our reservation was 7 pm. We arrived on time. We waited 50 min for appetizer. The prosciutto was not good. Our pasta was not good. Same soup. It was the first time that we had a not good time. We really enjoyed our evening at Cafe Venezia. The food and service was excellent! I would highly recommend and I will definitely go back! Everything was great. They are a very consistent restaurant which always delivers a quality product. And the service was outstanding. We had Tuty as our server and she was outstanding. We are very happy with all of our experiences at Cafe Venezia. Great first visit! In addition to the food, host Leo and staff provided an excellent dining experience. Great place. Great food. Nice place all around. Fresh food! Wonderful restaurant run by extremely hardworking guys. Never had anything but a great experience dining here. The chef and the owners who are always circulating in the restaurant are fabulous. The food is always fresh and outstandingly prepared. They are also extremely accommodating and will change any dish to suit your taste or dietary need. This is a gem restaurant. I hope they remain a fixture in our community. Six thumbs up from my wife, my daughter and me! The food at Cafe Venezia is always excellent, but it is the service that makes it unique. From the moment you walk in the door until you time you pay the check, the staff is engaging with you. They always have time to say hello, share a story and cater to your needs/requests. They are forced to be less attentive on the weekends due to the crowds, so I would suggest a visit during the week to get the "full treatment." Both the regular menu items and the specials are exquisite. We always leave here with a smile (especially our daughter, Jenna). We have dined here several times and took a couple the other night and they raved about the food too. We'll be back and so will our friends. Great food... great service, a real Italian gem. My wife and I eat out often and found our food fresh, tasty and presentation was great. The friendliness and attentiveness of the servers, and staff, simply said was terrific. Made you feel very welcome and your dining choice of their restaurant meant something. Would recommended this to anyone I know. This was our first time and we can't wait to return. We felt very welcomed by Eddie and Leo. They were extremely friendly and made us feel like regulars, which by the way, we intend to be. Everything we had from appys, entrees and desserts were delicious. We loved the calamari with sausage and hot peppers. Burrata was probably the freshest and best we ever had and veal melted in your mouth. Planning on bringing some friends there soon. Looking forward to another delicious meal! We love Café Venezia. We have been there well over a dozen times. The food is excellent; always fresh. They even get the vegetables crunchy and their roasted potatoes are the best! I even asked for the preparation technique. I recommend Café Venezia to all of our friends. I heard about this restaurant for quite some time but could never book a table. Took a chance on the storm night this past Saturday and was able to obtain a reservation. I will say the five star reviews were well deserved. The owner Leo, made our table of four feel like old friends or family. He possesses a true passion for his restaurant and customers. The food/portions were excellent and the price for the quality of food was reasonable. There is a somewhat formal feel when you first walk-in but that quickly changes to a totally relaxed dining experience. Will return very soon and hope now to become regular customers. Outstanding job by all at the restaurant. Lovely dinner with a friend I hadn’t seen in a while. Service was excellent ..slow paced between courses allowed us to chat. Food quality & preparation was excellent. Planning a return trip with 4 of our other friends we haven’t seen! I have been dining at Cafe Venezia since the beginning. The food is delicious and consistent. The service is excellent and the staff very attentive. The only things that I noticed and the reason why I didn't give it a 5 are that the prices have gone up enough to make a difference, and the side veggies and potatoes (which I love) are smaller than they use to be! Food was very good and we tried some dishes like the Fried Calamari Venezia that was delicious and prepared differently from most restaurants. Definitely worth the hour drive! I've been here many times and each time I've never been disappointed. Food, service, and the restaurant are all excellent. DELICIOUS!!!!! Love this restaurant and the staff!!! The food is exceptional and every dish is prepared with such passion. The chefs here are top notch. A must try! Food and service were excellent. It’s much improved since we were last there. Our favorite place to go! Best food, Best service! Great atmosphere! We love Cafe VENEZIA! Food and service was excellent. Definitely a restaurant to put in your rotation.